What is Shim Jang Taekwondo? Shim Jang Taekwondo is a non competitive, Self Defence Martial Art Style that dedicates itself to the development and well being of its practitioners. The Shim Jang system is based on the "Original" style of Taekwondo, as such our students do not compete in tournaments and are therefore able to put all their energy into learning and practicing the excellent Self Defence skills and health giving benefits that the art has to offer. SHIM JANG is also dedicated to preparing its Students for a martial art future up to and beyond "Black belt" level, it is a progressive non-competitive martial art style that offers quality self defence instruction for Men , Women and Children of all ages. The Instructors are all highly experienced and pride themselves on their Honesty & Integrity. The art is open to new members and existing martial art students and instructors who are looking to join a style that can offer them enjoyable self defence training and a future with an organisation that works hard for THEM. Where did Taekwondo & Shim Jang originate ? 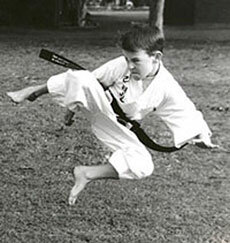 Tae Kwon-Do is a Martial art that began evolving around 1300 years ago during the Silla Dynasty in South Korea. Taekwondo was officially named in 1955 and has since grown to become a popular Art or (depending on the style) sport that is practiced throughout the world under many different style names. 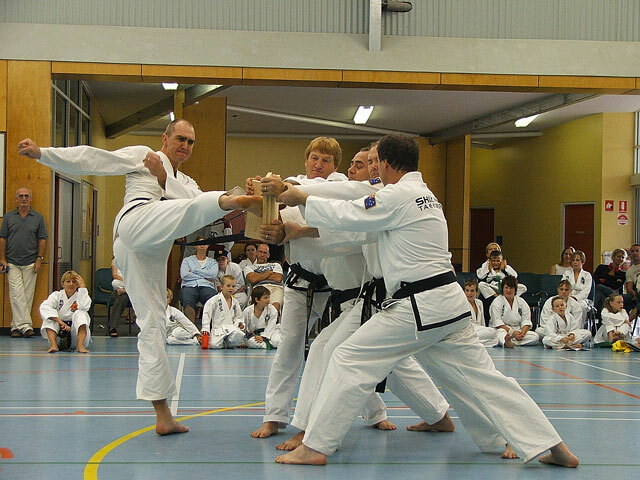 The style "Shim Jang Tae Kwon-Do" was founded in Australia by Grandmaster Les Hicks and began its development way back in the late 1970's, Les has been studying the art under Korean Masters for over a quarter of a century and has taught many fine instructors. The definition of Shim Jang Tae Kwon-Do involves the teaching of dynamic techniques of unarmed combat for self defence purposes in a way that everyone can learn and enjoy. Shim Jang Tae Kwon-Do students learn skilful blocks, powerful punches, flying kicks, dodges and interceptions that assist their self defence capabilities as well as enhancing their physical and mental well being. Is Shim Jang a contact sport ? Shim Jang Taekwondo is not a sport. During training, all techniques delivered are encouraged to be done so with properly executed technique using full speed, full power, split second timing and full control. This system of teaching decreases the chance of injury by uncontrolled blows during training; it therefore allows the student to study the art and encourages their personal development as a martial artist. You will therefore learn how to deliver full-powered techniques during training in order to protect yourself and your family without fear of constant injuries during class. The art therefore suits Men, Women and Children of all ages. Anyone can learn Shim Jang Taekwondo Strong , Weak , Short , Tall , Young , Old , Men , Women or Children can all enjoy the many benefits that regular Shim Jang Taekwondo Training has to offer its members. What can I expect at training ? Our classes last for around 1 hour, and are normally held twice a week. The classes are great fun & are taught by specially selected Shim Jang Tae Kwon-Do instructors officially appointed to their position by Grandmaster Hicks and registered under the W.S.T.A. Qualification Framework. During class you can expect to learn various kicks, punches and blocks. Your first few weeks training is targeted at getting these basics correct and this will prepare you for your first grading test (White belt to Yellow tip). We recommend you attend as many regular lessons as you can to gain maximum benefit from the art. As you become more proficient, you will continue to practice more advanced techniques, specific patterns of movement, self defence manoeuvres and free sparring techniques; this type of regular training prepares you for your next regular grading examination. As we are a "family friendly" self defence martial art school, you can expect to train with people of all ages. We actively encourage children to train alongside their parents! Do I take rank examinations ? As a student of Shim Jang you are expected to display the rank appropriate to your experience and skill, this enables the instructor to teach you the necessary techniques required for you to continue your advancement within the art. Rank examinations are formal events personally conducted by an officially appointed WSTA examiner and are held at regular intervals; they follow established protocol and guidelines & are a lot of fun. Shim Jang Taekwondo is a professional organisation therefore the health, safety & well-being of the student always comes first and examination requirements are occasionally modified and tailored to individual needs. How does the ranking system work ? There are 10 Kup (coloured Belt) levels and 9 Dan (Black Belt) levels in Shim Jang Taekwondo. Each coloured belt represents the student's progress and ability within the art, the white Belt represents a beginner. 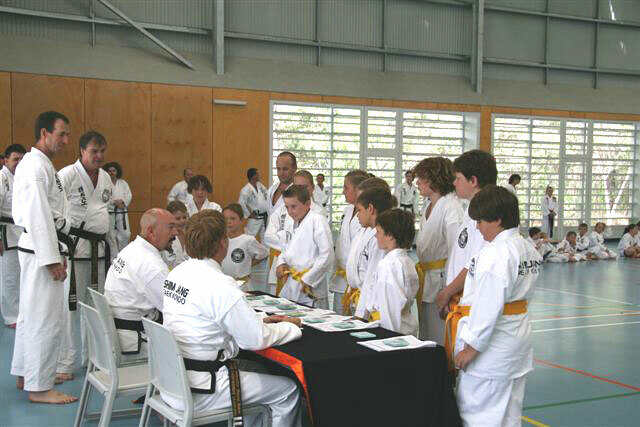 The students are then able to work their way through the various levels firstly Yellow then Green, Blue, Brown and finally the much sought after Black Belt which signifies that the student is now ready to dedicate him/herself to both the future study and teaching of the Art. Some students can attain their 1st Black Belt level in as little as 2 1/2 years however the average time is around 3-4 years. Serious black belt students can achieve higher ranks within the organisation but only time and dedication will dictate these important steps. 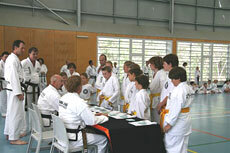 There are many reasons why adults and children enrol in the martial arts. Below are some of the basic advantages of enrolling in a well-established, recognised club such as Shim Jang Taekwondo. Shim Jang Taekwondo is very popular with people of all ages and even children as young as 5 years old can benefit greatly from training in the art. Our instruction teaches the kids to avoid trouble through a respectful, confident and tolerant attitude by developing higher levels of confidence and self esteem. These benefits can remain with the child all through their life helping them grow into useful members of society by aiming for and achieving their personal and professional goals. Most children experience "Bullying" at some stage in their young lives, it can be as simple as a little teasing or name calling but this can escalate into more serious physical and mental abuse. Often kids are reluctant to report this behaviour for fear of reprisals and sadly this can lead to more serious problems like illness and depression. Bullies are not nice but they are out there, they usually pick on anyone but tend to avoid people that are prepared stand up for themselves or who may display an "air" of confidence. Self-confidence and self-belief are important human traits, they help us to achieve our goals and help us succeed, without them we tend to rely too heavily on the people around us and we become followers NOT Leaders. We as instructors are very serious about being good role models for the children to follow and if we can have a positive influence on our next generation we believe we have done our job. Children are very smart; they learn quickly and can easily differentiate right from wrong. An independent, positive influence in our younger years can only help us on this exciting journey we call life. Shim Jang Taekwondo soon becomes an integral part of the student's daily life and can assist our children in the development of many skills that will assist them on the road to adult hood and beyond…. As well as a fun recreational activity the self defence & stress relief aspects of the art are extremely beneficial for many people during their daily activities. People from a wide variety of working environments continue to benefit greatly from studying the art. People working in jobs like the Police Force, Nursing & the Security Industry can receive great benefit from studying the art as it can be very useful to them during their daily work routine. Just simply going to work with a sense of confidence and self-esteem can reflect positively on all our daily working activities. Respect, Honesty, Discipline, Courtesy & Integrity are inherent principles that are continually promoted within our classes. If practiced they will help develop and maintain good behaviour and a better attitude. This can assist our children in disciplining themselves to completing homework, listening to their school teacher & attaining better grades at school. Perseverance, self-control, and pride are achieved as our members hone their skills and focus on attaining their next belt level. The pride they experience when they achieve their goals gives them the self-confidence to continue their advancement in the art. Under the guidance of qualified instructors we encourage our students to assist each other to learn and practice their basic techniques and forms. This gives each student a feeling of pride and achievement, increasing their self-confidence & self-esteem. This transforms the Shim Jang class into a learning facility not just a place to kick and punch. Regular SHIM JANG taekwondo training helps develop various physical skills such as hand-eye co-ordination, motor skills, balance, and confidence. It is also a great way to enjoy shedding those unwanted kilos. In short there are a multitude of benefits to be enjoyed by everyone! Our economical price structure and family discounts enable the whole family to enjoy training in the art. There are very few physical activities that Mum and Dad can enjoy with their children and because Shim Jang is suitable for us all to enjoy together this can assist in building and maintaining a strong family bond. This depends on the individual's own effort, ability and the regularity of their training. An average student can expect gratifying results within a few short months of regular training. 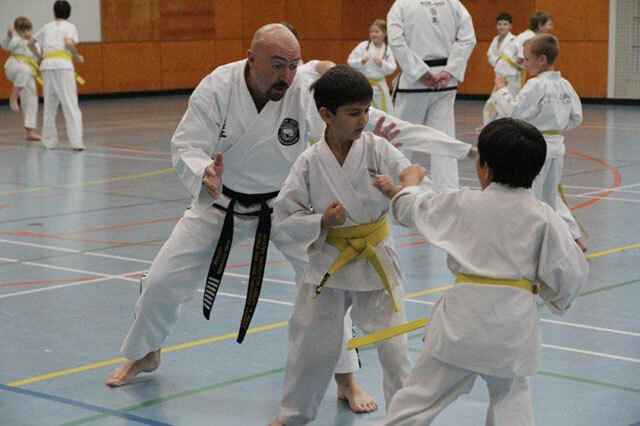 As you progress through the various belt levels in the Art of Shim Jang Tae Kwon-Do, you will be given the opportunity to attend special Instructional Classes, attend Grading Tests, and experience our Training Camps. Your local Branch instructor will keep you informed or alternatively you can view our web site www.shimjang.info for further information on Classes, Grading tests and Special Events. We trust that ALL members will enjoy their training and we welcome both experienced students and beginners to the Art of Shim Jang Tae Kwon-Do.